TAPAS: As part of our Travel Series, we offer an overview of a selection of popular Spanish tapas and traditional cuisine. 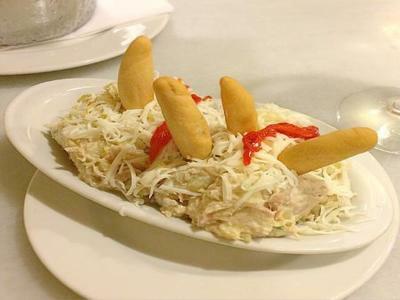 This is a popular dish throughout Spain and is available in the majority of bars and restaurants. The dish is a combination of potatoes, tuna, egg, mayonnaise, peas, carrots, seasoning and parsley. Ideal to have with a caña! This is a traditional dish from the Galician region of Spain, which has a reputation for excellent quality seafood. 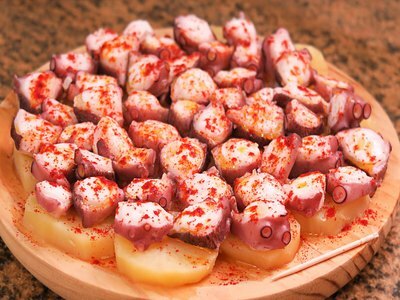 The octopus is boiled and served with potatoes and sprinkled with paprika, seasoning and olive oil. 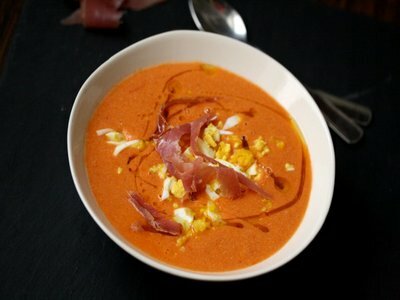 This is a tomato based cold soup style dish originating from Andalucia. Recipe for Gazpacho includes tomato, green pepper, garlic, cucumber, olive oil and salt. The ingredients are blended to create a smooth and refreshing dish. 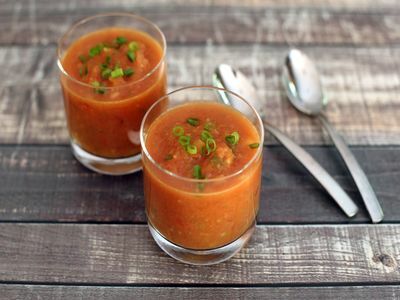 Similar in style to Gazpacho, this dish is synonymous with Cordoba. The principle difference between Gazpacho and Salmorejo, is the use of bread in the traditional Salmorejo recipe. This creates a much thicker and heavier soup. The Salmorejo is finished off with diced hard boiled eggs and serrano ham on top. Spain benefits from a wealth of excellent seafood. The prawns in particular are a must try. 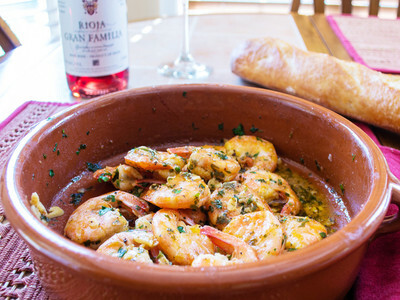 Gambas al ajillo is a simple dish of large peeled prawns sauteed in garlic, chili, olive oil, seasoning and parsley. Monatditos are small rolls offered with a variety of fillings. The most readily available montaditos are cheese (queso) and ham (jamón). Most bars, cafes and restaurants offer montaditos throughout the day. There are also a number of large chain restaurants offer an extensive menu of cheap montaditos. Bocadillos are bigger versions and usually comprise of a baguette style bread. 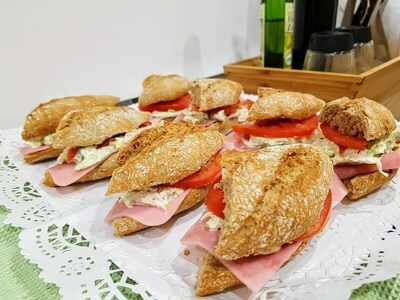 This is another popular snack throughout Spain. 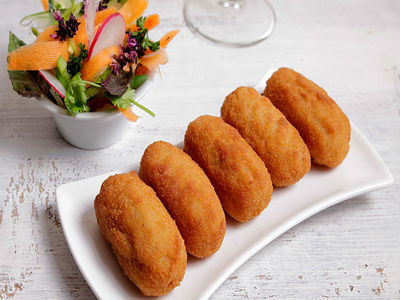 They are deep fried potato croquettes offered with a variety of fillings. The most popular are made with ham, cod, mushrooms, squid and chicken. 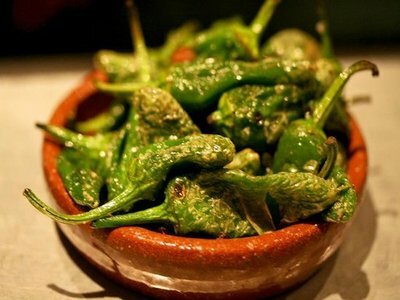 This is a dish of small green peppers from the Padrón area in Galicia, northern Spain. The peppers are simply cooked with salt and olive oil. Gildas are pinchos (small snack) from the Basque country in northern Spain. 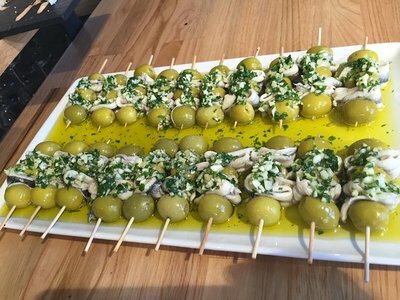 They comprise of olives, anchovies, chillies and olive oil served on a cocktail stick. Seafood is extremely popular in Spain. You will find chipirones frequently on menus. Chipirones are baby squid. They are typically dusted in flour and fried. 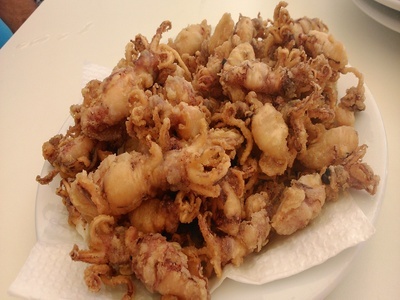 Calamar is squid and is widely eaten throughout Spain. 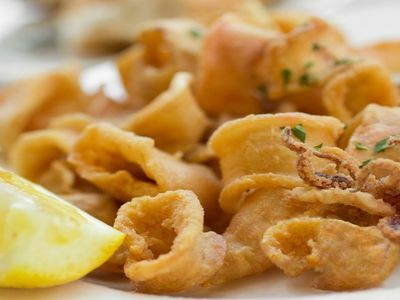 They can be cooked in a number of ways with the most popular being Calamari a la romana (cooked in batter & served with lemon), calamares rellenos (stuffed often with prawns, meat etc. ), calamares a la plancha (grilled). 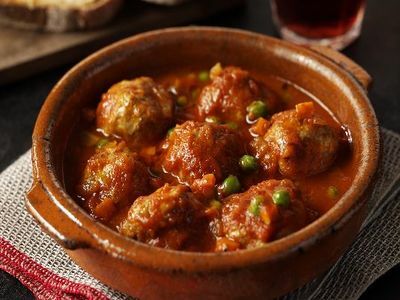 The Spanish way of cooking meatballs uses a variety of meat including; pork, beef and lamb. Often the albóndigas are made using a mixture or pork and beef. They are normally served in a tomato based sauce along with potatoes. These are ideal for kids who can be reluctant to try Spanish food that is unfamiliar to them. 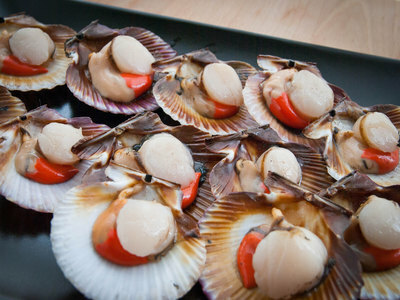 Zamburiñas are a variety of small scallops. The scallops can be served many ways, such as a la plancha (grilled), rellenas (stuffed), en salsa (sauce). 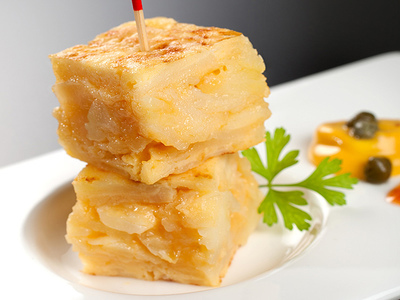 The famous Spanish omelette is a simple recipe consisting of eggs and potatoes. Spanish potatoes are diced and fried in olive oil. Often, onions , garlic and seasoning are added before the eggs. The result is a much more dense type of omelette than an egg only recipe. In many Spanish restaurants you will see tortilla Francesa (French omelette). This is made solely with eggs. Unlike on other European countries, the omelette is not eaten at breakfast. It is usually eaten as a tapas dish. You can find boquerones offered in bars and restaurants throughout Spain served in a wide variety of ways. The most popular being boquerones fritos (deep fried), boquerones en vinagre (fillets in vinegar), boquerones & acietunas (anchovies & olives). 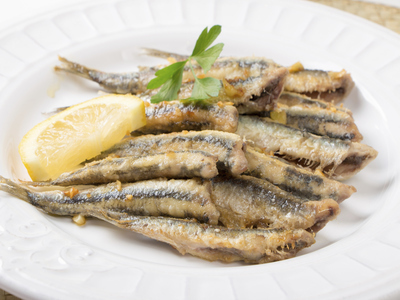 Boquerones can also be served as an accompaniment to plain crisps, on top of a Marinera (ensadilla rusa) rusa, in salads or pinchos. 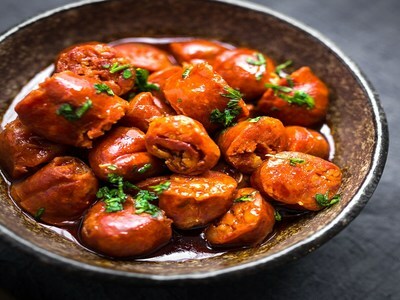 Visitors to Spain are likely to be more familiar with chorizo, as the product is beginning to appear in supermarkets throughout Europe. It is a traditional pork sausage. It is often served in cider or red wine.